2014 Nissan Pathfinder Hybrid is here! Here are some Photos of the 2014 Nissan Pathfinder Hybrid Platinum Edition. Bertera Nissan in Auburn is where to Buy a Nissan Pathfinder Hybrid. 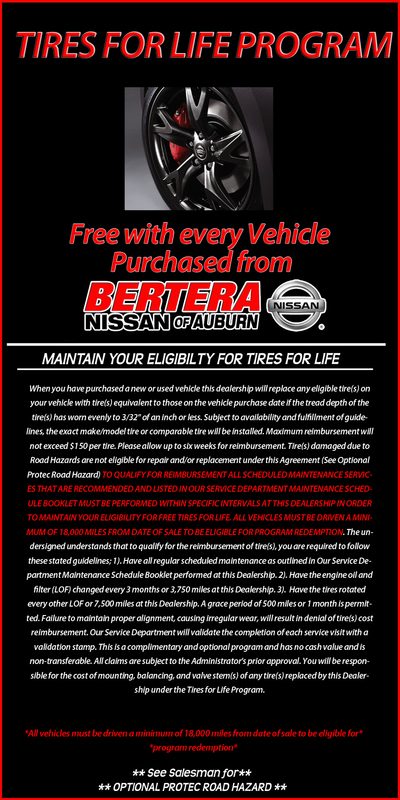 Bertera Nissan offers Tires for Life Program with Vehicle Purchase! Just another reason to Choose a Nissan From Bertera Nissan. Keep smiling and thank you for reading.